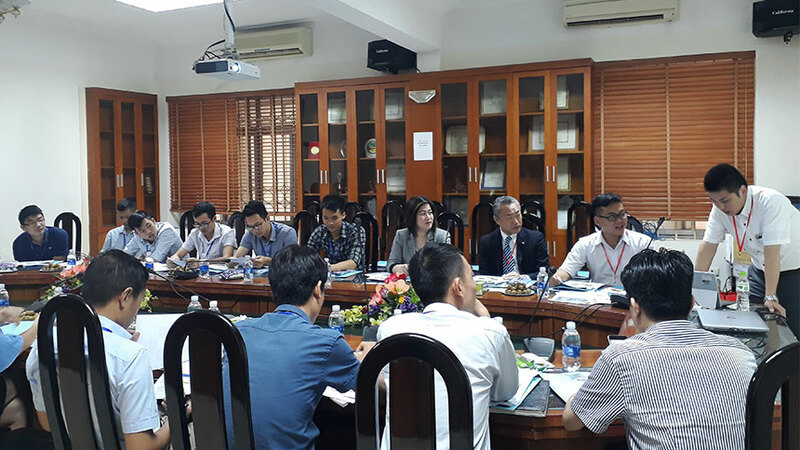 On 13 April, 2018, Toda Industries Corporation successfully held a technical seminar and demo of tesa tape at BM Windows factory at Song Than 3 Industrial Park, Thu Dau Mot city, Binh Duong province, with the participation of representatives of Technical Department and R&D Department. 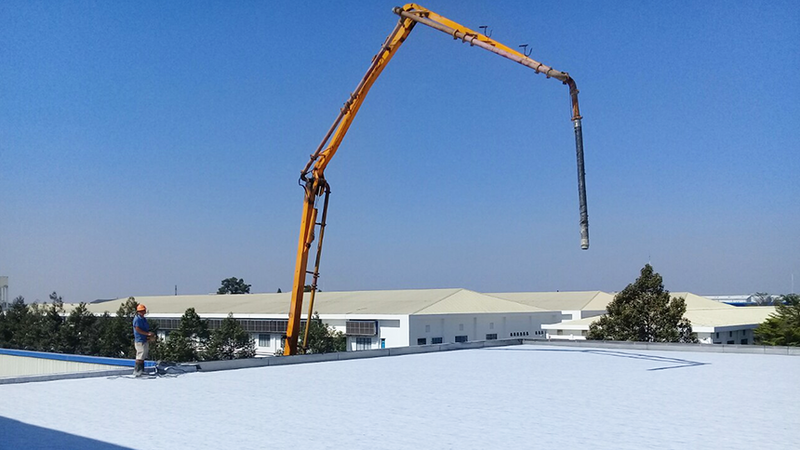 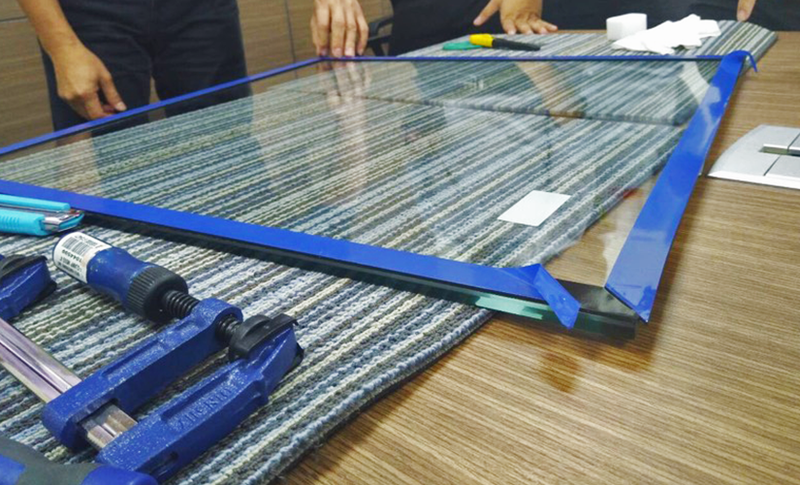 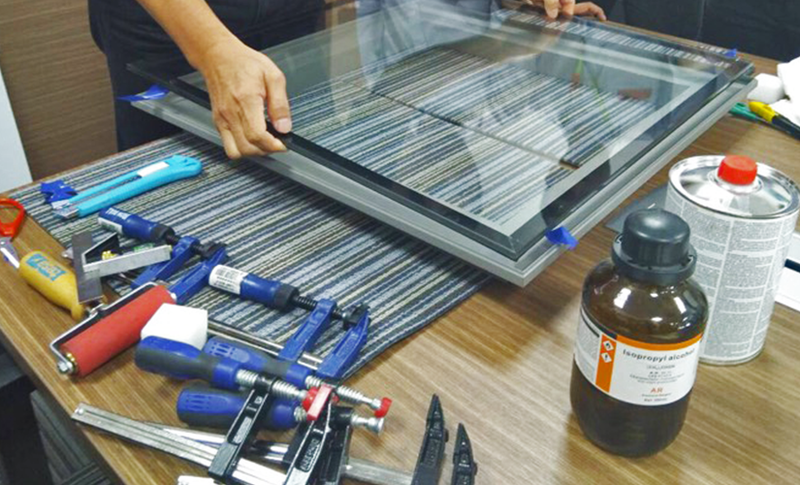 In this seminar and demo, tesa's expert briefly introduced tesa solution for structural glazing as well as performed the installation using tesa tape and specialized tools. 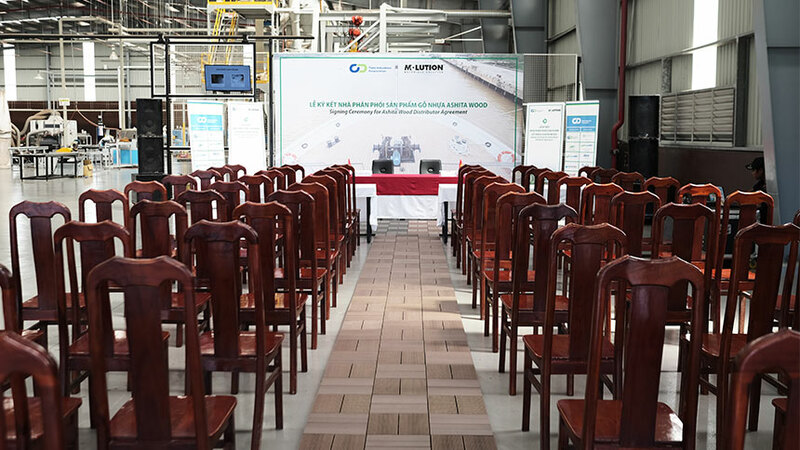 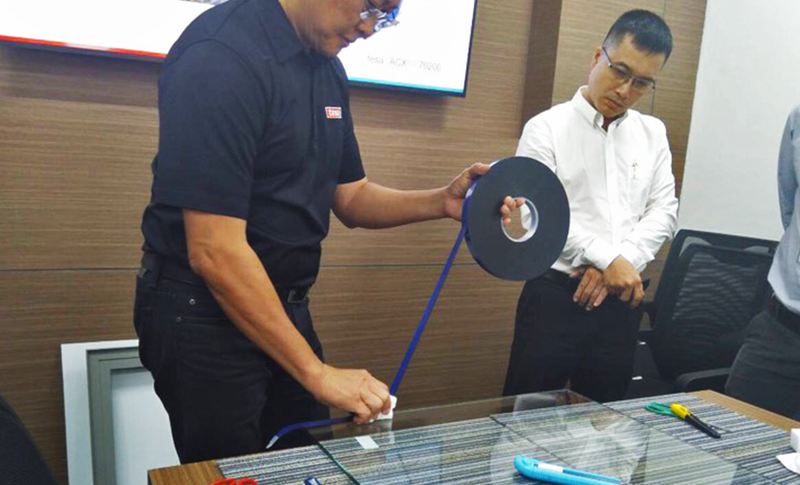 Such technical seminars and mockup making not only increase customers’ understanding about characteristics and applications of tesa tapes but also helps Toda Industries Corporation satisfy customers’ needs with the most suitable tesa solutions. 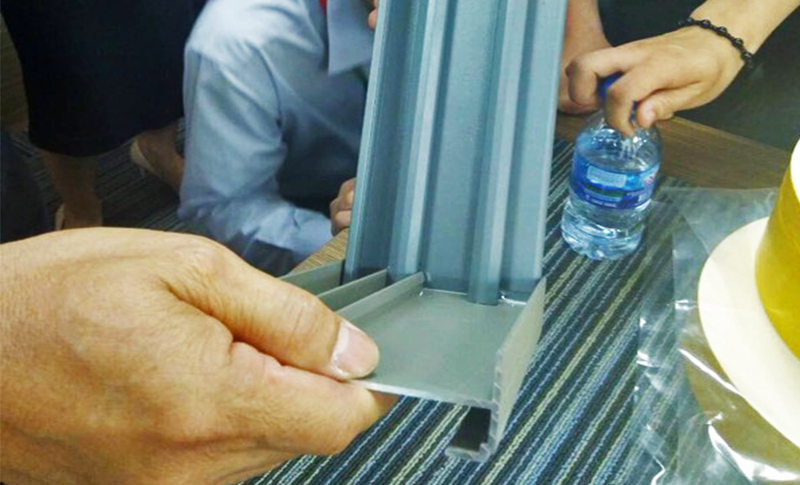 Let’s have a look at some of pictures of the technical seminar and demo of tesa tapes at BM Windows factory. 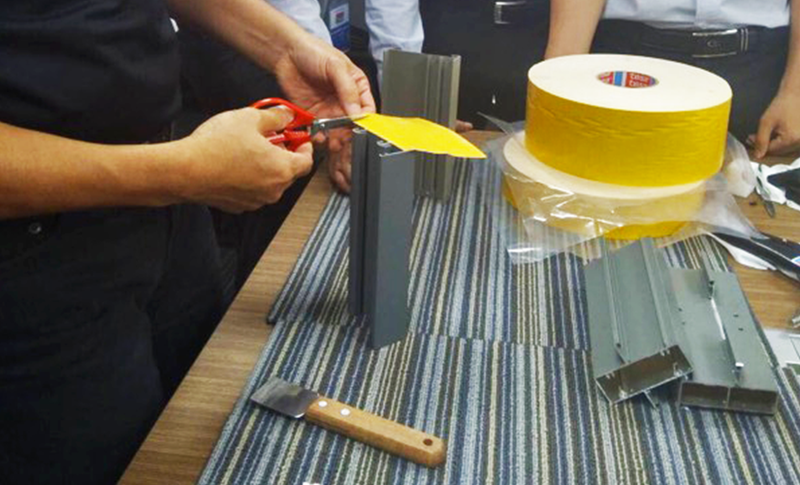 tesa's expert was performing demonstration of tesa tape for structural glazing.